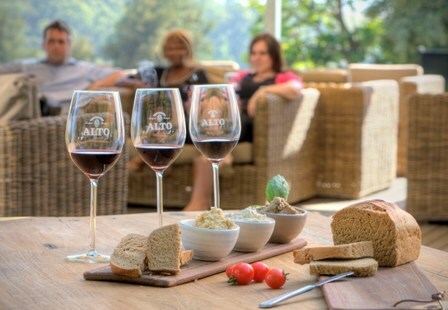 Known for its historical and impressive collection of classically-styled reds, Stellenbosch estate Alto is now offering visitors a delicious combination of its reds, teamed up with home-made pâtés. Each of the three wines in the range is combined with a pâté of the day. These are served on artisanal 100% rye bread made in the area, all just for R50. Against the backdrop of dramatic mountain views, visitors can also enjoy red wine sundowners, served with freshly baked white bread, dukkah, pesto and extra virgin olive oil also priced at R50. The tasting room is open 09:00 – 17:00, Monday – Fridays and 10:00 – 16:00, Saturday, Sunday and public holidays.